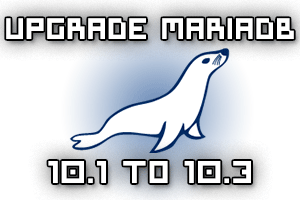 This short guide will show you how to upgrade MariaDB 10.1 to 10.3 in CentOS 7 Linux. We’ll start by modifying the repository file and perform a ‘yum update’. This may fail to automatically update the MariaDB-server package, so I’ll show you how to manually use the mysql_upgrade script to complete the process. I have this server to set to automatically perform a ‘yum update -y’ once every 24 hours in order to keep it automatically up to date. 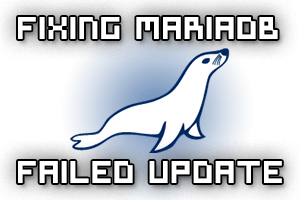 After the most recent MariaDB update to version 10.0.29-1.el7.centos in CentOS 7.3 I found that it failed to start back up correctly, here’s how to fix it.